Collaborators: Karla Gómez. Fotos: Santiago Garcés. 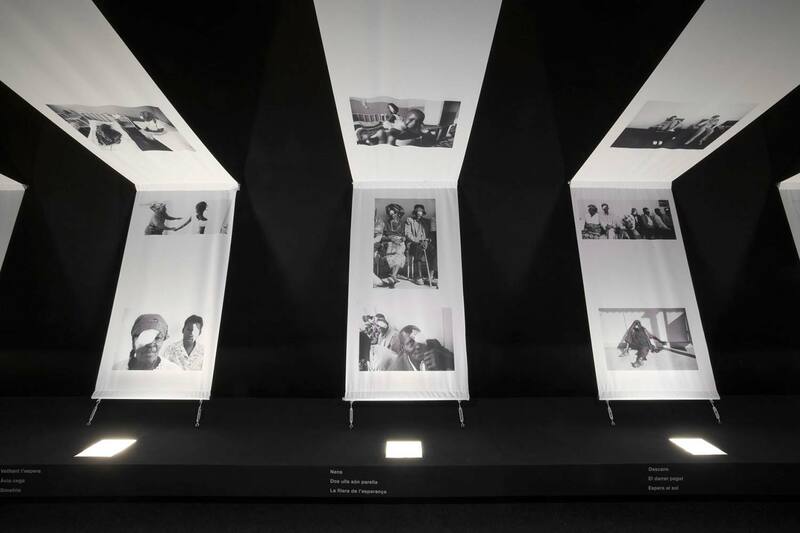 A strategic decision marked the beginning of the design phase of this project – our office had been commissioned to design two exhibitions just before the budget was adjusted due to the current economic crisis. 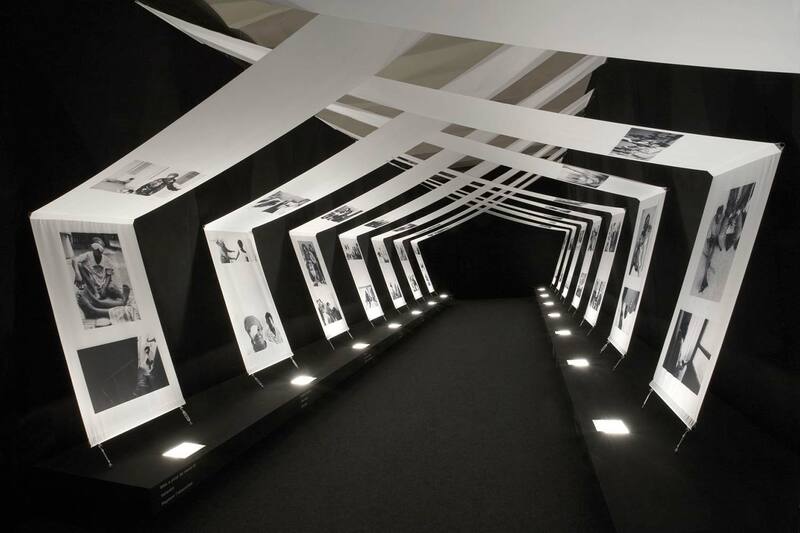 Soon after we began work, we received a call from the client: the request was clear – the budget had been dramatically reduced and we were now being asked to design two exhibitions for half the amount initially allocated. We saw this change of situation as an opportunity and made a decision which would inform the development of the project from that point onwards; to view the decrease in budget as something which opened up the possibility of working with one integral design, rather than the two originally proposed, that was capable of accommodating two exhibitions. 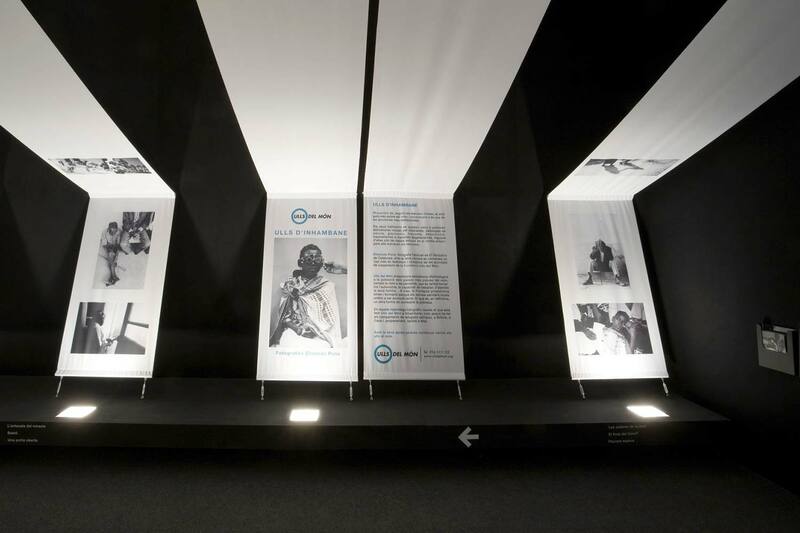 Our objective was to display the work of 2 NGOs – Ulls del Món and Reporters Without Borders – through photographic images. Our attention then turned to the invention of a single exhibition system that would be able to generate two very distinct spatial conditions in the same exhibition room (within days of one closing the other would open, each lasting for approximately three months). All well as this, we were trying to create an iconic style which would add value to the material presented in both bodies of work. The proposal was to generate spatial quality by using a self supporting exhibition stand – crossed fabrics displaying high definition images. This would generate a space in which the curatorial discourse could take place, encouraging differentiated and intimate movement around the display. 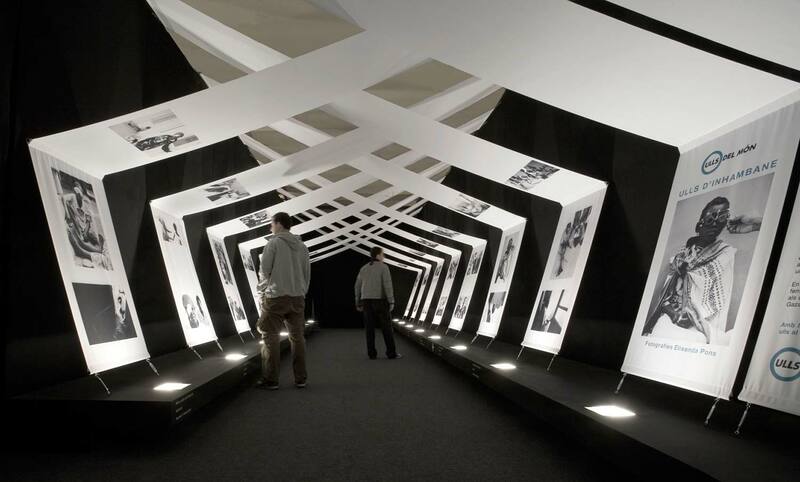 Thus, in the first exhibition, the fabrics would intersect creating an object in the centre of the room around which visitors could walk – an X of positive and negative space whose play of light and shadows would make it a unique object illuminated within the room. In the second exhibition, the fabrics would unfold to form a perimeter around the exhibition space. The fabric would create an enclosed central space through which visitors could pass, with the previously mentioned criss-cross helping to create a depth of space. 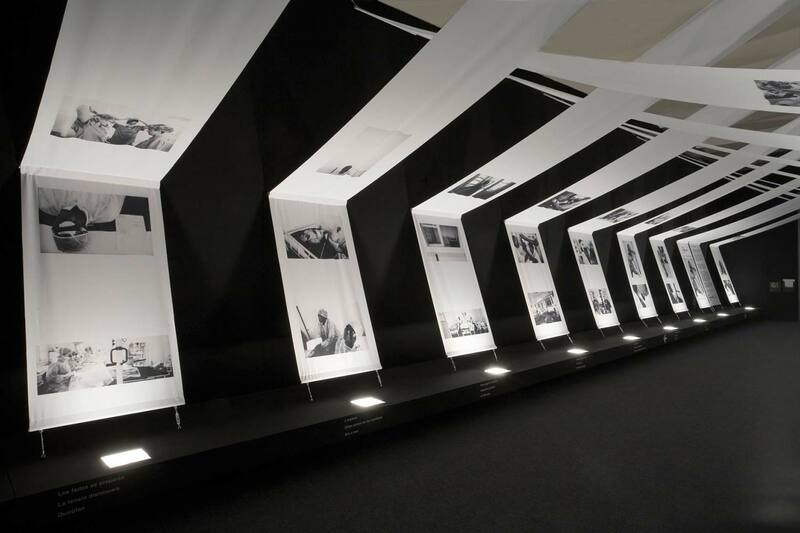 The contrast between these areas (one a central object, the other an envelope), produces a great spatial impact although only simple materials and construction methods are used – stretch fabrics mounted on a bar system which can be placed singularly or as a combined object according to the requirements of the exhibition. Finally, expository material is printed to the specifications of each exhibition, responding to the length required by the system. The printed fabrics were donated to the NGOs for future presentations, to be hung vertically or experimented with as the material allows.